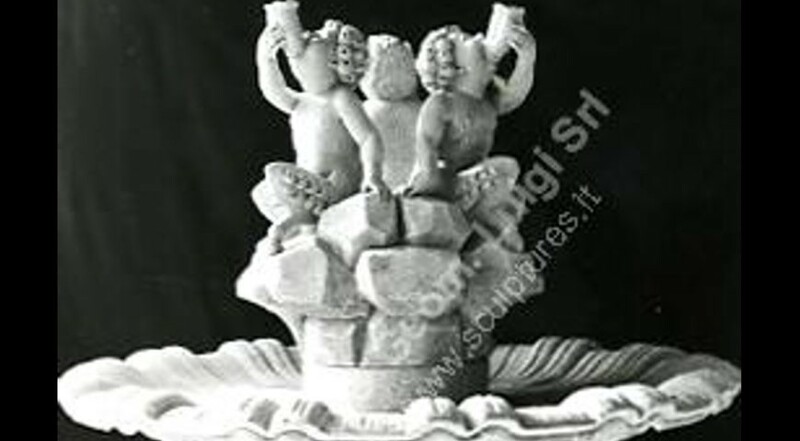 One tier fountain with large decorated bowl crafted in limestone. 3 fauns and 8 water spout. Classic style, original design by our designers and artists.